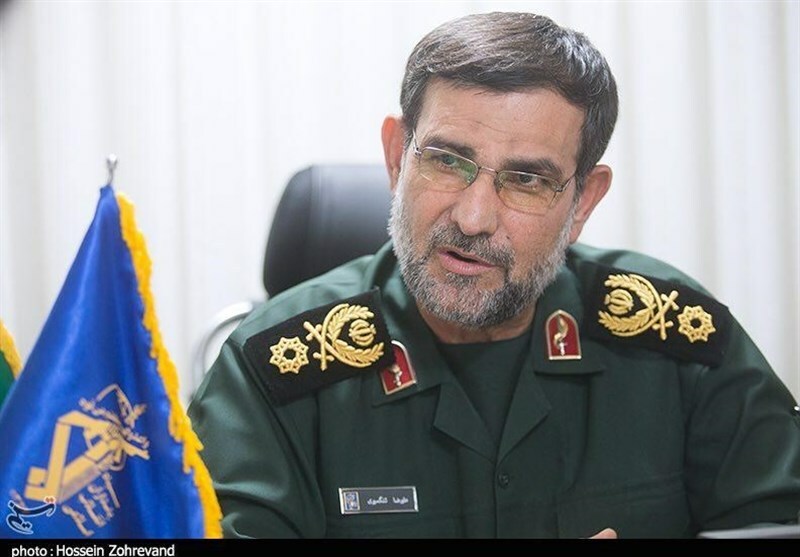 TEHRAN (Tasnim) – Commander of the Islamic Revolution Guards Corps (IRGC) Navy Rear Admiral Ali Reza Tangsiri said the Navy has developed a weapon to beat the American anti-drone laser weapon system. He said the IRGC Navy has also worked on plans to counteract the anti-drone systems. The commander further unveiled plans to furnish the IRGC Navy with new submarines, saying the force is looking for midget submarines that would be more advanced than the Qadir submarines, something like Fateh or Persian Gulf, which are being manufactured by the Defense Ministry. 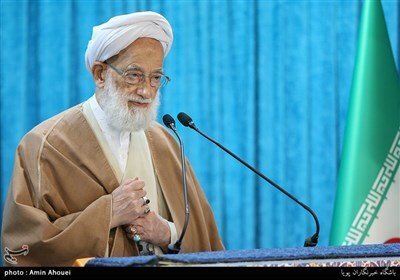 He added that the IRGC Navy’s submarines should be equipped with torpedoes and subsurface-to-surface cruise missiles. 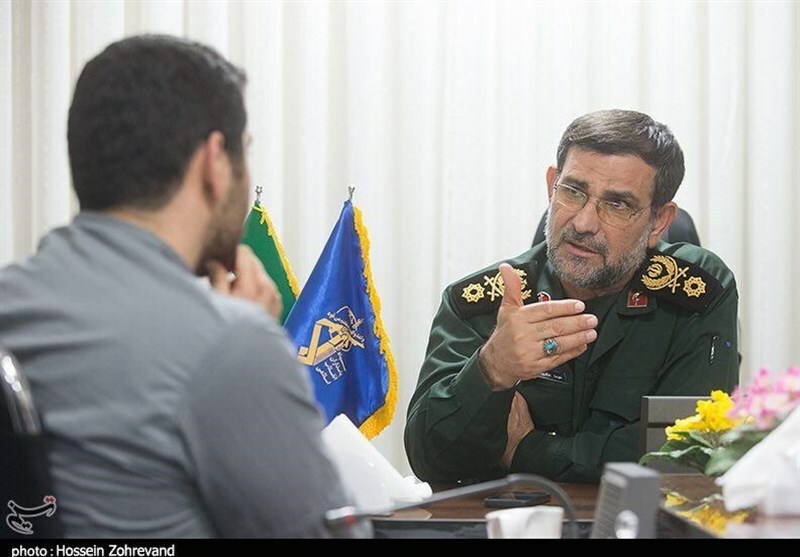 As regards the IRGC Navy’s development plans, the general said its industrial centers are manufacturing patrol and missile-launching vessels, as well as heavy military ships. The IRGC Navy is going to build a 65-meter-long watercraft equipped with missiles and torpedoes and capable of carrying helicopter, he went on to say. Rear Admiral Tangsiri also stated that the IRGC Navy may receive anti-ship ballistic missiles, like the Persian Gulf missile, from the IRGC Air Force, and has also plans to use a more advanced version of those missiles. 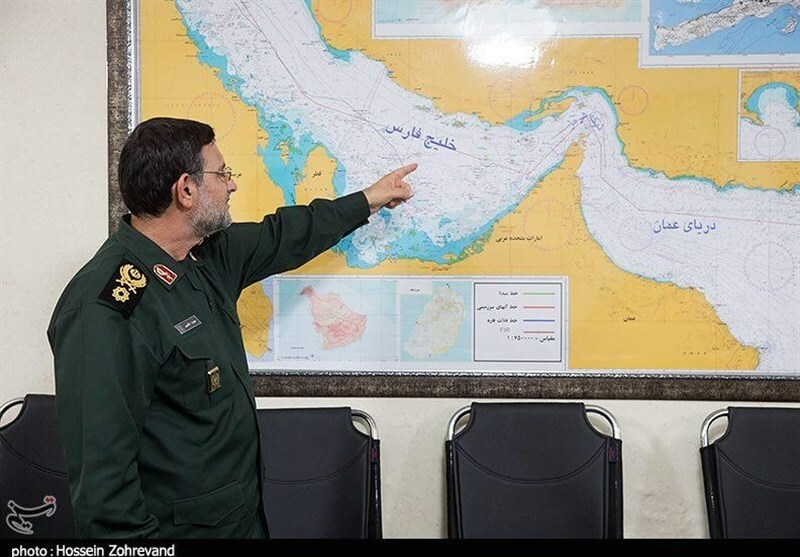 In comments in January, the commander had announced that the IRGC Navy has begun developing submarines, saying new achievements in this field will be unveiled in coming war games. “(Presence in) the subsurface sphere is one of our needs which we must pursue,” Tangsiri had noted, saying the IRGC Navy is upgrading its unmanned aerial vehicles to enable them to carry loads and furnish them with weapons with pin-point accuracy. In remarks in November 2018, Leader of the Islamic Revolution Ayatollah Seyed Ali Khamenei urged the Iranian Armed Forces to boost their military capabilities and preparedness in such a way that the enemies would not ever dare think of threaten the country. Pointing to the plots that the enemies and rivals have hatched against the Islamic Republic, Ayatollah Khamenei emphasized the necessity to step up extraordinary efforts in all areas, as in the Navy, to thwart the hostile plots and compensate for the shortcomings.